New Year’s Eve @ TAG! A night out in Denver is not complete without a dreamy dinner on Larimer Square! 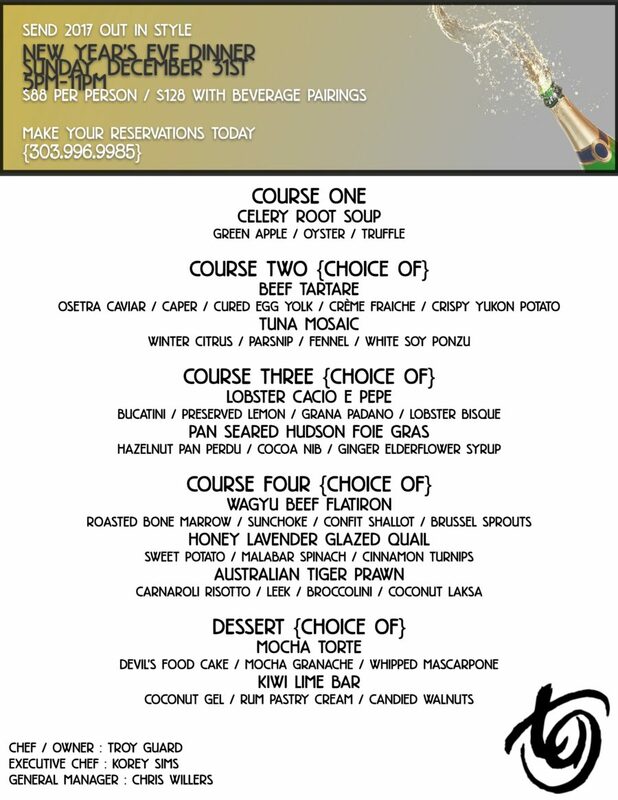 Start your New Year’s Eve in the center of the action with a Four Course + Dessert dinner at TAG! You’ll find a dash of luxury in every dish – Caviar, Wagyu, Foie Gras, Oh My! Book now and send 2017 out in style!